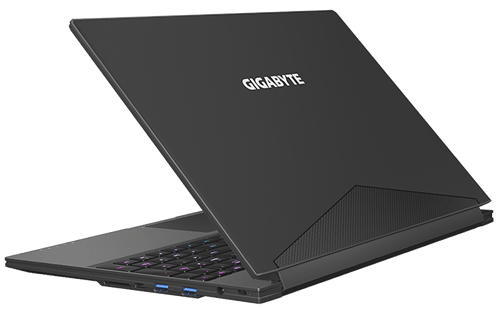 The newly updated Gigabyte Aero 15X is running the 6 core i7-8750H combined with a 1070 Max-Q from NVIDIA. 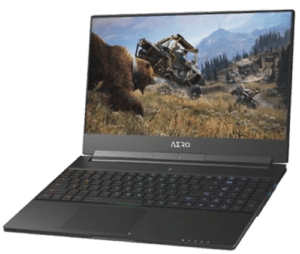 It’s a very powerful, thin and light gaming laptop that is also very good for creative work. The design on this laptop hasn’t changed at all from the 15X from last year or even the regular Aero laptop. It has a very industrial look and weighs about 4.5-pounds. Its lines are sharper and more angular than some of the more modern looking laptops. The build quality of this thing has always been above average. It’s not like a Dell XPS or MacBook, but compared to a lot of other aluminum paneled laptops, this one feels good. It’s mostly aluminum, there are some plastic components like the trim around the edge which makes it look and feel a little bit less premium, but the overall build quality is good. The screen flex is minimal and the same with the body paneling. It’s a very rigid feeling laptop. 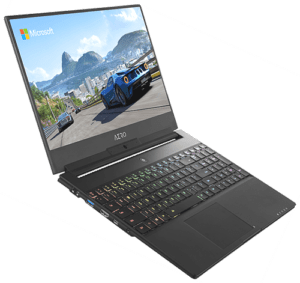 It has the same width and length of the previous generations, but it’s actually a little bit thinner it’s a 0.74-inch thick laptop. This was achieved by reducing the thickness of the screen. They are using a new panel. it is thinner, lighter and it’s 144 Hertz. It’s a really excellent display. It’s bright at 300 nits, it’s color accurate with a sRGB at 99% and Adobe RGB at 78%, it’s a really good screen. One of my problems with the 15X of a few months ago was that they were pairing a GTX 1070 Max-Q with a 60 Hertz screen. That just didn’t make sense to me because you’re wasting the potential of the video card because you’re capped at 60 frames per second. This panel being 144 Hertz makes a world of difference. Gameplay is very fluid, but even if you’re not a gamer, having a Windows desktop at a higher frame rate looks awesome. Seeing your mouse cursor move around really smooth at 144 Hertz looks so much better than 60 fps. This panel does not have G-Sync and I don’t think that it’s that important. G-Sync is really useful at lower frame rates like from 40-60 fps, but once you go above that, I just don’t think it’s that important. On a side note, if you are a MacBook or MacBook Pro user, and are thinking to switch over to this laptop because it is something that is geared towards creatives, you’re going to find this screen to not be as bright as the MBP. That being said, the Aero’s screen is more color accurate and better overall, but it just doesn’t get as bright. For a Windows laptop screen, it does get bright at 300 nits, but the MBP is 460 nits. As far as ports are concerned it has a DisplayPort 1.4, HDMI 2.0, a bunch of USBs and it has Thunderbolt 3 and an Ethernet port. The most unique port on this laptop is an SD card that supports UHS 2 speeds, so if you’re a content creator and use SD cards you can offload UHS 2 cards super fast, it’s something like 250-300MB/s. Getting into this laptop is really easy. Simply remove a bunch of screws and the back panel comes right off. Inside you get access to two RAM slots, 2 NVME drives and the WiFi card The SSD is 512GB with read speeds of 2200 M/s and write speeds of 1350 M/s. The RAM is 16GB of DDR4 on one stick, so it’s super fast. Having only one stick of 16GB makes upgrading to 32GB much easier and costs you less since you don’t have to toss the typical two 8GB sticks. The bad thing is now you’re running single channel memory. That’s probably not a big deal outside of memory benchmarks. 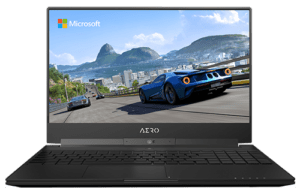 The battery is big just like all Aero 15Xes. It’s a 94-watt-hour battery pack that is really close to the legal limit for flights. With this battery, you’re looking at about 7.5 hours of battery life with the screen at 75%. Performance on this laptop is really good. It’s a beast of a CPU with 6 cores. 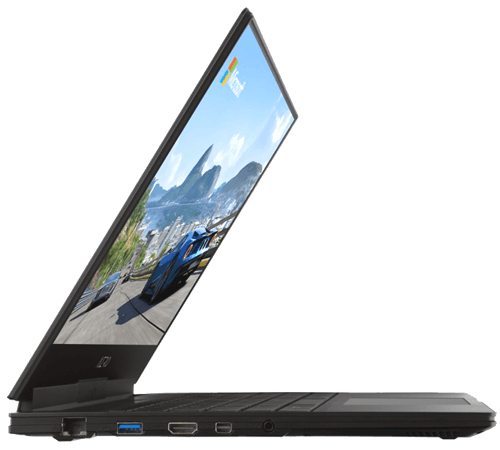 The i7-8750H is a really impressive chip. For multi-core stuff, it’s much faster than the previous generation. There is an improvement in gaming performance because of the CPU but the GPU really does most of the work. It’s a 1070 Max-Q really strong performer. Most triple-A titles run really smooth and the 144 Hertz screen looks awesome. The thermal performance is great. There’s no throttling in games and even in bench tests, it yields slightly better temps than its competitors. This is an excellent machine for content creation because it doesn’t run so cool. The fan noise on this laptop is OK. On load it is very acceptable, it’s not super loud but I don’t like the fact that when it’s idling there’s fan noise. 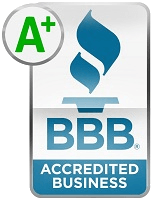 It’s not loud, it’s actually barely audible, but there are competitor products that have the same performance and have been able to eliminate all idle fan noise. 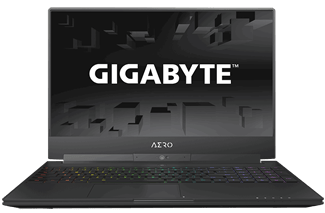 So, I’ve covered a handful of things that I like about this laptop, now let’s discuss some of the undesirable things about it. One of the weaker aspects of this machine is its bottom-facing speakers. They just aren’t as loud as they could, or should, be. Another setback was the key feedback when typing, it took longer than normal to get used to the typing experience. The payout of the keys are OK, but they seem a bit too close together as well. The trackpad using ELAN drivers isn’t my favorite aspect either. The gestures are OK, but the scrolling and cursor are a bit off. And sometimes the cursor gets frozen for a second or two as well. This is something that will probably be fixed with software updates. Since it has really thin bezels, the webcam is positioned on the bottom and this just makes for an uncomfortable point of view for your viewers in Skype or something similar. Overall, it’s a really nice laptop. 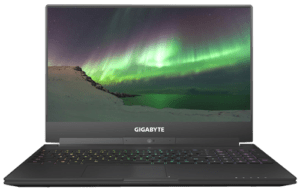 What separates this from its main competitor, the MSi GS65, is it’s built better, you can access the internals easier, it has a bigger battery, it has better thermals, it has better color accuracy despite a smaller color gamut, more ports and an option for a 4K panel. The main difference between the two is the price tag. The Aero runs about $2,000 while the MSi laptop sets you back only about $1,800.